There are many reasons why a mortgage loan could be declined. It doesn’t have to be the end of your real estate dreams. Here are a few things to consider if you’ve been turned down for a mortgage. The loan-to-value ratio (LTV) is the percentage of the appraised value of the property that you are trying to finance. For example, if you are trying to finance a home that costs $100,000, and want to borrow $75,000, your LTV is seventy-five percent. Lenders don’t like a high LTV. The higher the ratio, the harder it is to qualify for a mortgage. To reduce the percentage, you can save up a bigger down payment. Some lenders may approve the loan if you buy mortgage insurance, which protects the lender in the case of default, but makes your mortgage payment higher. Lenders will be less likely to approve your mortgage loan if you have a high credit-to-debt ratio. The ratio is figured by dividing the amount of credit available to you, on a credit card or auto loan, and dividing it by how much you are currently using. High debt loads will scare away most lenders. Try to keep your debt to under fifty percent of what is available to you. Lenders will appreciate it, and you will be more likely to be approved for a mortgage. 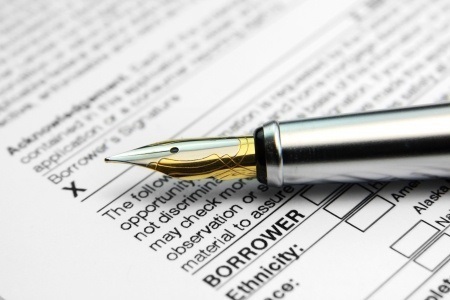 Few things can derail your mortgage loan approval like credit issues. Having no credit record can be as bad for your approval chances as bad credit. With no record of timely loan payments from anywhere, a lender is unable to determine your likelihood to repay the mortgage. Some lenders will consider other records of payment, like utility bills and rent reports from your landlord. If you have frequent late charges or collections, you’ll need to work on getting those paid on time, every time. There aren’t many lenders who will approve someone with bad credit, especially in today’s market. Talk to your loan officer to determine which problem applies to you, and learn the steps to fix it. Then, you can finance the home or condo of your dreams. If you’re ready to buy a home or condo, I can help. Together, we’ll determine how much you can afford, and I’ll negotiate to get the best price and terms for you. Get in touch with me so I can help you.